Lets start with the legs. 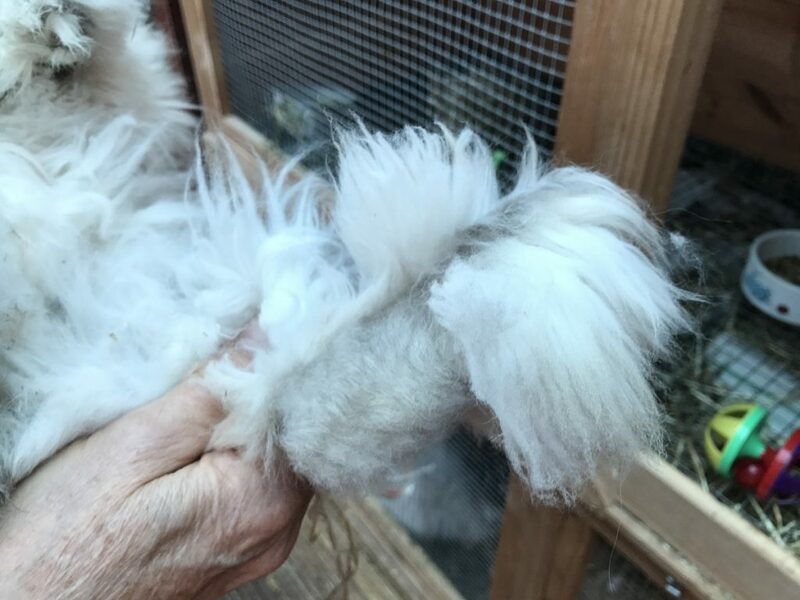 The furnishing on the legs of an Angora should go all the way along the length of both the back and front legs. This is crucial if you are looking to show your Angoras in an exhibition or competition. 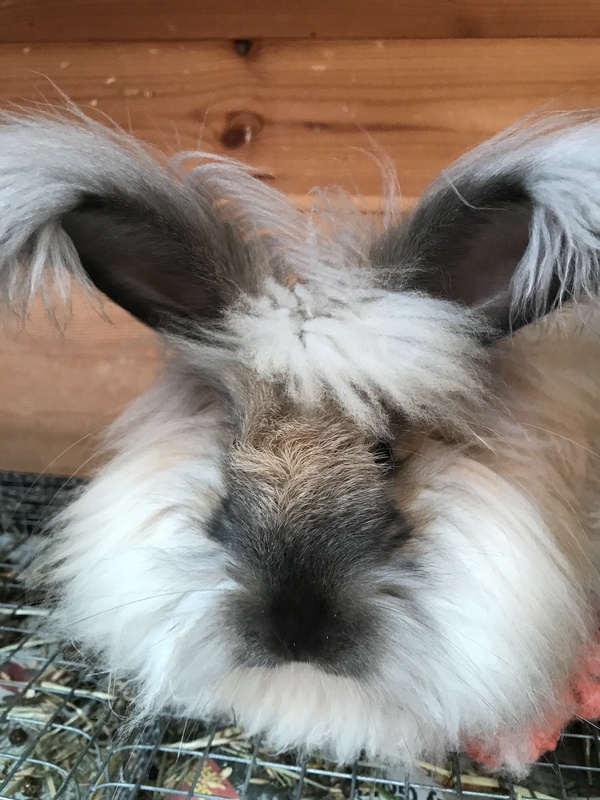 For more information on the breed standard see each separate post on the requirements of each colour or white. 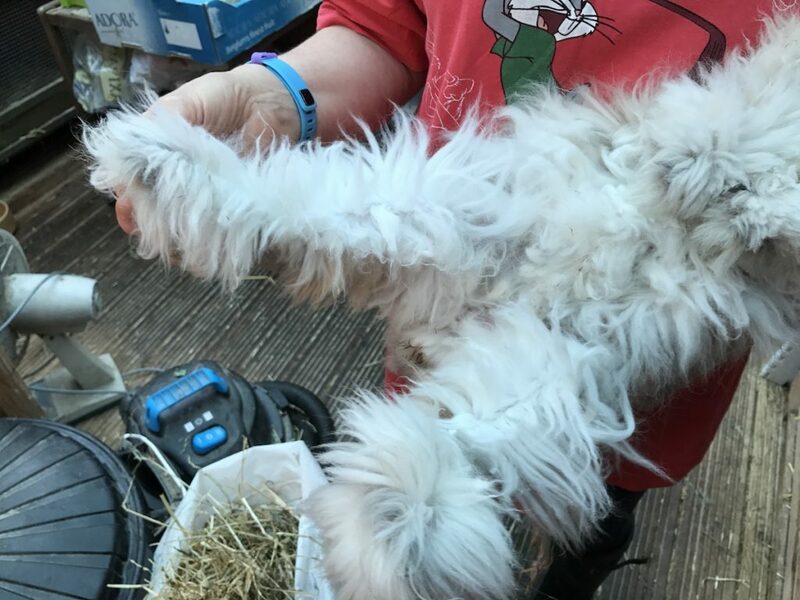 These should have a good all round cover of furnishings to meet the breed standard for an English angora rabbit. The feet should also be well furnished above the foot and on the front of the underside of the foot. 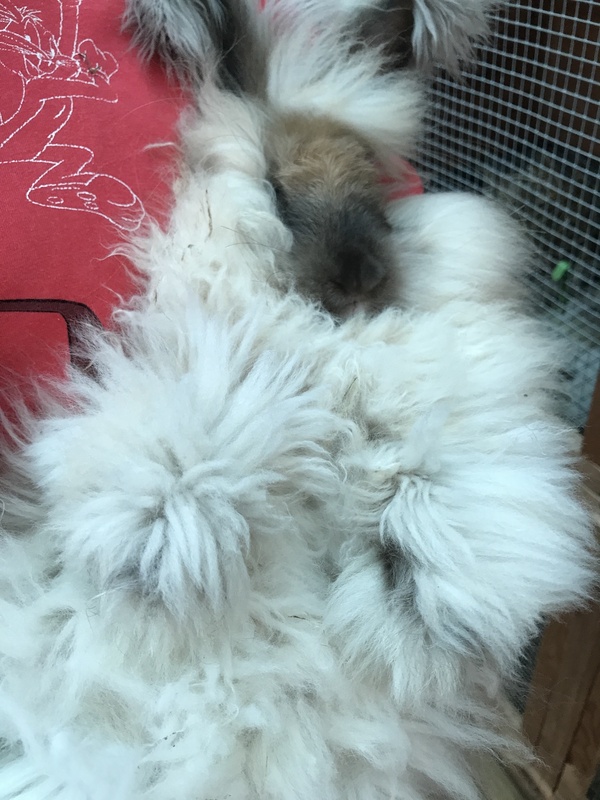 The heel is less furnished as this is where the weight of the Angora sits. The heel wool tends to be shorter. The underneath should be furnished with a good covering of wool. 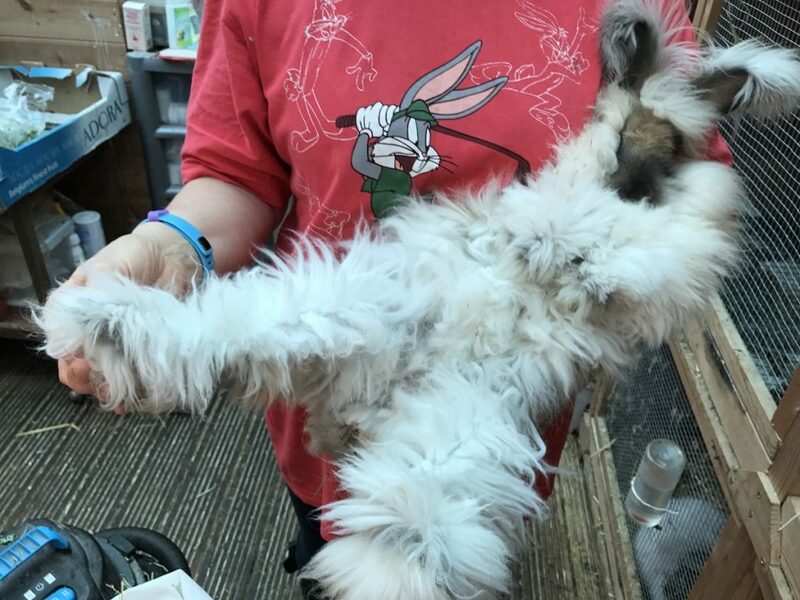 The example is an ungroomed English Angora rabbit to show the size of the hind legs unfurled from the body. The underbelly should be creamy white in colour. These should be on the tips of the ears and less so down the full length of the ears. The face mask should be brown-black wool but with brown-black shadings on lower flanks and ears with brown eyes. 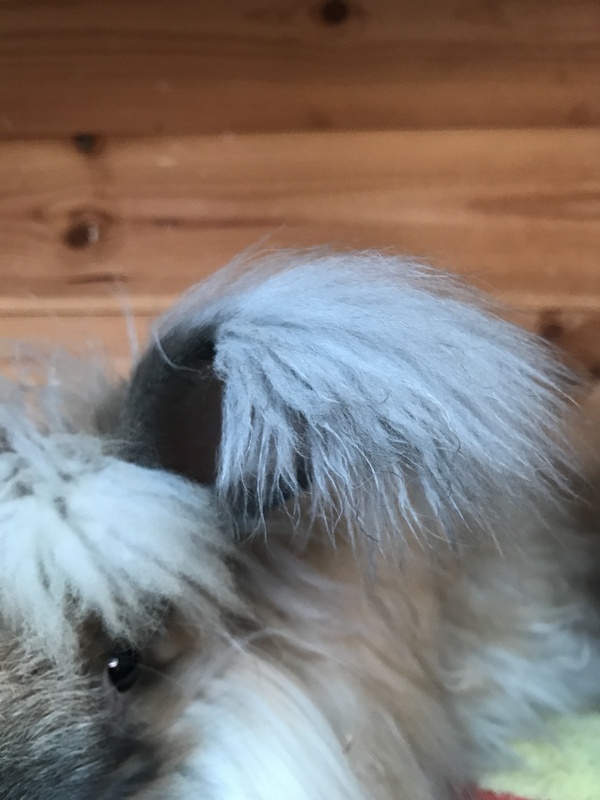 Posted 02/10/2017 by LH & filed under Breed Standard.